I’ve been looking for an excuse to write about the Shimano STEPS mid drive system, and now that the Walleräng M.01 is finally for sale in the USA, that moment has arrived. This is not exactly a “cargobike”, but…it is a sophisticated and upscale street commuter with several well-designed cargo solutions, and made in Sweden. The Walleräng factory is located in the town of Högsbo, near the main port city of Gothenburg , which is a departure from the trend to have every global product actually made in China. The local culture was influenced by the inherent Scandinavian style, and influenced over the years by the historical influx of Scottish and Dutch immigrants, which I regard as a net benefit. I had the pleasure of test-riding the Shimano STEPS (The acronym stands for “Shimano Total Electric Power System”) at the 2015 Interbike meet, and I came away very impressed. Regardless of the amount of modest input watts that it is “rated for”, this type of system converts that modest input-energy into an impressive 50 Newton-meters amount of wheel-torque, and the final wheel-torque result is actually all that matters from a performance point of view. Let’s take a look at the published pics of the Shimano STEPS internals, and see what we can discern from that, shall we? These types of “proprietary interface” mid drives are designed to address an issue with the problems that big global manufacturers face, when contemplating the need to promote the entirely new paradigm that ebikes represent. This very sophisticated Japanese Shimano offering works quite well. These “proprietary interface” drives make it easier for a “Local Bike Shop” (LBS) to service customer issues. It also addresses the issue of local governments having a need to restrict “turn key” ebikes to meet the national or state laws , regarding power or speed levels. By using the word “proprietary”, I mean in comparison to the popular Bafang BBS02 and BBSHD, which are designed to be able to “slip into” just about any bicycle frame…such as the cheap bikes from the “big box” retailers. “Hot rodders” will always push the limits of what’s allowed, but…when it comes to turn-key ebikes, the drive unit needs to be something that is “hard to hack”, due to legal liability issues. The LBS issues it addresses is that: bicycle mechanics must be paid a little more if they can do more, so…these types of drives are designed so that the simple “average guy” can R&R them cheaply, meaning just “Remove and Replace”, then…they send the rare “bad unit” back to the factory. The factories actually don’t want any local mechanics to fiddle with any detailed repairs. The “big dog” on the porch is the Bosch mid drive, and a “fast rising” second place contestant is the less expensive Yamaha mid drive. Third place belongs to the “dark horse” Bafang Max mid drive, which I fully expect to make a HUGE expansion into the mid drive market in 2017, due simply to a significant price advantage. From the pic above we can see that…it is an inrunner (which sheds heat well to the aluminum “powdered metal” case), with a high-speed and low turn-count stator, The primary reduction uses helical teeth in the gears to reduce the noise, and the secondary reduction has the less-expensive straight teeth to keep the cost as affordable as possible. Occasionally, I read about criticisms concerning the choice of using “square taper” spindles (as opposed to using the upgraded “ISIS” spindle), but…since the crank-arms only see the stress of human pedal-power when used on a mid-drive, I think these are an acceptable choice for a street ebike, and quite appropriate. The battery is 36V, and 11.6-Ah. That power level combined with the large reduction inside the drive-unit will provide a significant range for those “pedal-assist” ebikers who want a fairly light ebike that “looks like” a regular bicycle from a distance. The Blix company is better known for their “affordable” line of ebikes. Such as the folding “small wheel” Vika, the full sized “step through” Komfort, and lastly…the conventional diamond-framed “Stockholm”. The Walleräng was developed in Sweden as a standalone product, and these two companies have merged in order to market both of their products in North America. Both companies are from Sweden, so it was inevitable that they would meet. Sweden is in Northern Europe, a part of the Scandinavian region. The curved red line in the map above is the Arctic circle, and that means that Sweden has brutally cold winters and almost no sun at all for several months a year. It also means they have very long days in the short summer, and Swedes are known to make good use of any daylight they can enjoy during that time. Blix’s North American operations are based from Santa Cruz, located on the central coast of California. The word “quality” brings up a variety of definitions. The price of the Walleräng is a significant $3690 USD, so…what do you get to justify such a price? This is a non-suspension frame, so it has an uphill battle in this price range. Compared to the comparable Stromer ST-2, it actually has better hill-climbing ability (due to the motor having the usage of the bikes gears, rather than using a “single speed” direct drive rear hubmotor), but…some customers are not always educated enough about their respective features to make that distinction. In the pic above, I want our readers to make note of the details about the cargo-rack attachment points. If they had spec’d the common and affordable “clamp-on” cargo racks (front and rear), then…those racks would end up being weak, and prone to vibrating loose over time. If Walleräng had opted to simply drill holes into the head-tube and seat-stays (and cut threads into them), that decision might result in slightly weaker attachment points, possibly prone to developing cracks over time if actually used to transport serious cargo. In the pic above, I wanted to make note of three features. First of all, Walleräng routes their cables through the interior of the downtube, which is something that I am seeing increasingly as an expected feature in the upscale market. Second, upscale bicycle manufacturers are all trying to differentiate themselves from the offerings of the cheaper “big box” store bicycles, which are sold at a significant price difference and with no customer support. One of the ways that has made itself known this past year is the use of “hydroformed” aluminum tubing in the construction of the frame. Notice the unusual cross-section of the tubing used in the pic above, and also the odd bend in that tubing. Both are the result of using the hydroforming technique, which puts an aluminum tube into a formed mold, and then applies high-pressure water to the inside of the tube, in order to push the aluminum tubing outwards to expand into the custom form, which changes its shape. The third and last feature I like in the pic above is something that I have only previously seen on custom “one off” builds. Compare the previous picture to the next one, and notice that the welds have been “smoothed over” before the painting stage. You might call this a “blended weld”. Is the addition of the small features like this worth the higher price? Customers in North America will now finally be given the opportunity to decide if that kind of thing is something they are willing to pay extra for. The factory options of cargo racks and fenders show that this ebike is designed by people who actually use them. The Shimano STEPS mid drive was designed to not only provide a certain level of performance, it was also designed to do that while being as light as possible. This reveals the goals of the chief designer. Most ebikes lean towards either one end of the performance spectrum or the other. Rather than being a slightly heavy “hot rod”, the Walleräng aspires to be a light and efficient commuter, that can achieve long range from a small and light battery and motor. Picture courtesy of of www.ebikereviews.com.au in Australia…thanks Mark! Fenders are not currently a highly desired feature by North American buyers (who are notoriously price-sensitive)…and yet…over time, ebikes will gain a wider acceptance, and when that happens? Riders will begin to appreciate spending a little extra to have features that make their daily riding experience more pleasant. Fenders are high on this “accessory” list, and when buyers here begin to buy them, many of them will then begin to appreciate a fender that is designed to not only be light, but it is designed to plug right in with their particular model, with no adaptation issues. A pleasant ride through the fall trees with friends on a Wallerang would be a delightful afternoon adventure. I also like how the kickstand is located towards the rear. This a small annoyance of mine, but…when the kickstand is located near the center of the bike, it hits the pedals when the rider occasionally needs to roll the bike backwards a few feet. The Walleräng uses an electrically-shifted IGH, the Shimano Alfine-8 with a Di2 shifter. This is a delightful combination that I tested at Interbike, and I discovered I liked it much more than I thought I would. The Alfine uses a roller-clutch so…it rolls along silently as opposed to most conventional IGH’s which have a clicking noise from the common pawls used in the integral freewheel. As anyone would expect with an ebike in this price range, the brakes are dual-disc hydraulic units. I have a confession to make, I have ridden a Shimano STEPS-equipped ebike at Interbike this last September, but…I have not had the opportunity to ride the Walleräng yet. That being said, I would still have recommended that the Walleräng use a larger diameter disc on the front (something around 200mm), compared to the rear. I am told from trusted sources that the stock brakes work fine, and there has been a frequent argument in ebike circles about the spec of the brake components. My position is this: even if the rider can “lock up” the front wheel using a common 160mm/180mm diameter disc, what if they had used a larger disc?…it can improve the heat absorption and dissipation of that brake (for long downhills). It is well-known that when a rider is applying the brakes, the weight of the bike is shifted forward, so…something along the lines of 3/4ths of the braking is accomplished by the front brake (especially on a downhill). 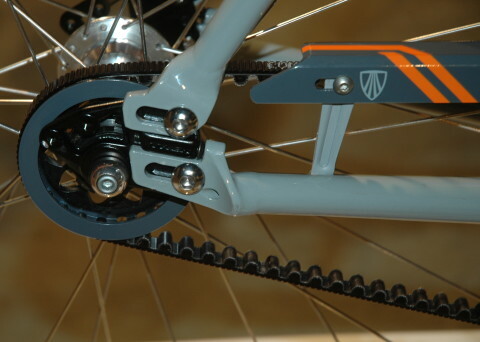 Shimano ICE 160mm hydraulic disc brake on the front and rear. As to whether or not to choose a hydraulic brake for the FRONT, this is becoming one of the most frequently suggested upgrades to any serious street commuter that does not have hydraulic brakes from the factory. 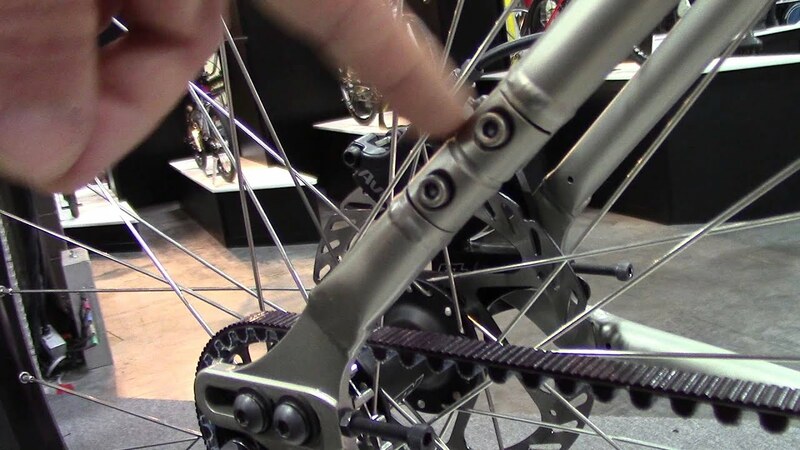 I have found that when it concerns the REAR brakes of an ebike street commuter that doesn’t exceed 28-MPH (45 km/h), the rear brakes can be adequate if using rim brakes that are well adjusted, and using well-regarded pads like the Kool Stop Salmon pads, or…by using a cable-operated disc brake like the highly regarded Avid BB7”s (one of my perennial favorites). That being said, you never have to apologize for choosing the more expensive hydraulic disc brakes for the rear. I have been a proponent of the feet-forward posture for commuter bicycles, a feature embraced by Dutch-style bicycles, and also the Electra bicycle company. The standard bicycle “leaned forward” posture (seen here in the Walleräng), places some stress and body-weight on the riders’ wrists, but…it also provides a more aerodynamic posture when traveling at higher speeds. Since the Walleräng has committed to avoiding the cost and weight of a front suspension, I would recommend that their website provide the option of a suspension handlebar stem, to help absorb the shocks of the ebike hitting potholes in the street. There may not be any potholes in Sweden, but there certainly are here in the USA. It also wouldn’t hurt for them to inform customers of the option of a suspension seat-post, such as the popular Suntour NCX, or the Thudbuster ST. I have used both, and I highly recommend them them for any ebike without a rear suspension. I would also encourage them to provide the upgrade on their website for an triangular-shaped battery pack, which would provide a much longer range for customers who were willing to accept the higher weight of a larger battery pack. With my petty complaints aside, I really like the looks of this ebike. Many new owners may not be able to explain what tipped them in favor of this particular ebike, compared to others, but…it certainly has “something special” about its style that is subtle. That might not be enough to entice a lot of North American buyers, but I am writing this in order to reach those riders who appreciate the unique combination of features that the Walleräng has. as someone who’s driven on a muddy road, I appreciate fenders. Waiting for Shimano STEPS for Mountain e-bikes / Trail e-bikes. Maybe Motor Power will be 350 Watts (not only 250 Watts). Are considering making a safe battery case so that we can take Wallerang’s on airplanes? There are lots of places we would like to visit for tours.